4 Bedroom House For Sale in Tonbridge for Guide Price £389,950. Freeman Forman are delighted to present this significantly extended four bedroom family home, located in a quiet cul de sac location in the popular village of Horsmonden. The spacious accommodation includes an entrance hall, cloakroom, sitting room with Morso Wood burner, dining room, kitchen/breakfast room and a study. Stairs rise from the entrance hall to the first floor landing with loft access. The property boasts an impressive master bedroom with stunning en-suite bathroom and separate shower. There are three further bedrooms located on the first floor and a family bathroom which is fitted with a white suite. The property offers an oil fired central heating system and double glazing throughout the accommodation. 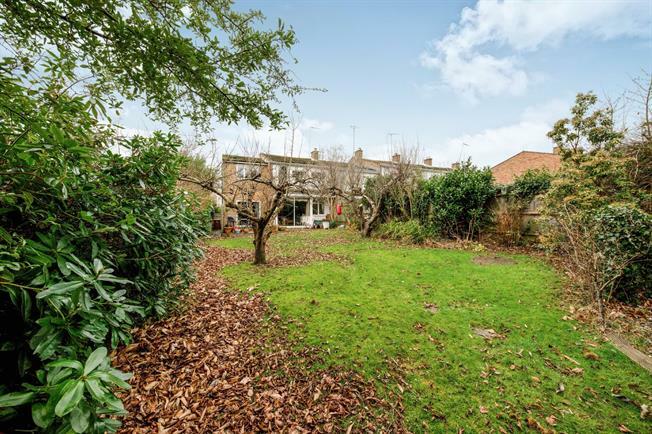 Outside the property enjoys a glorious rear garden which is of generous size and benefits from a large garden shed and fruit trees. There is a single garage located in a nearby block. The property is located in the heart of the village and an internal viewing comes highly recommended.